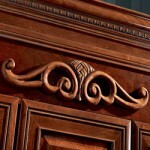 Adding the Extra Pizazz to Cabinetry! Mix wood, finishes, door styles & hardward for a unique look. 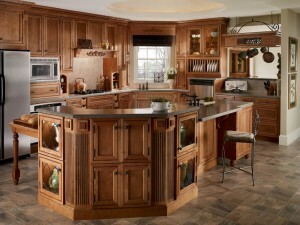 Selecting new cabinetry is exciting but can leave you in a tizzy. You’ve sorted through all of the wood and door styles, finishes, glazes, and storage options but there’s more! Here are ideas to really add that extra pizazz! Doors: They’re not just wood anymore! 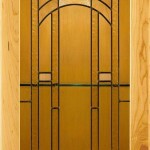 I love mixing wooden and glass doors. Glass brightens and makes a space appear larger. Back-light for a major WOW factor! Loads of glass options in textured, etched and patterned. Get really inventive using cut glass and zinc caming—similar to stained glass. 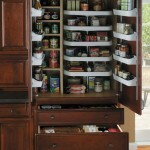 StarMark corner cabinet with metal doors is great use of space. 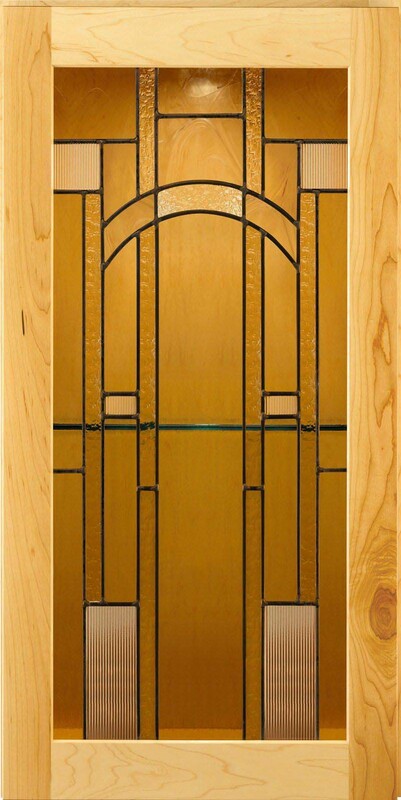 Another artsy door has wooden mullion strips to divide the glass areas forming a design. 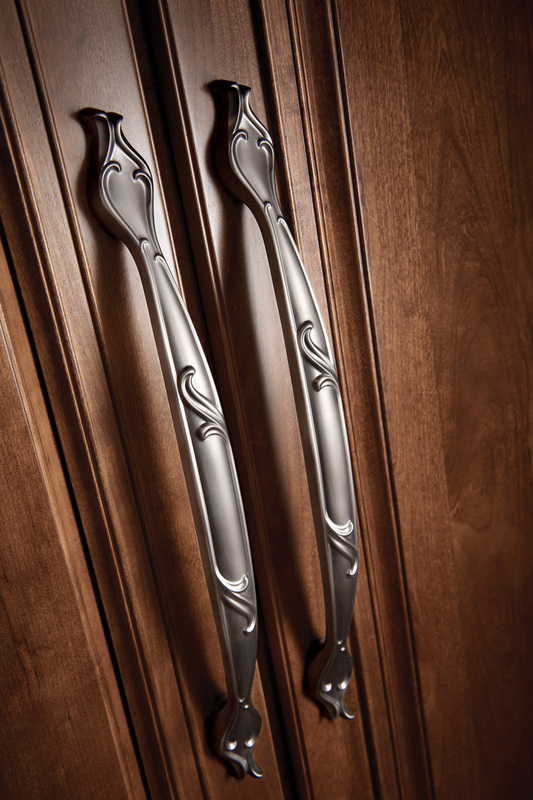 Doors with woven metal inserts create a classy or even a shabby chic look. Contemporary aluminum framing with glass might be totally you! Whew! 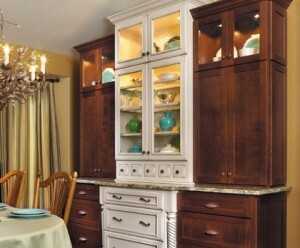 Hardware: Changing knobs and pulls is easy, affordable and will totally change the look of cabinets. Don’t be afraid to mix ‘n match. Go for it! KraftMaid door using zinc caming & decorative glass. 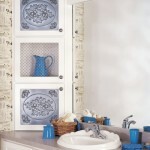 Decorative enhancements: Endless possibilities! Crown, light rail and baseboard molding conveys a finished look. Adding legs gives the appearance of fine furniture. 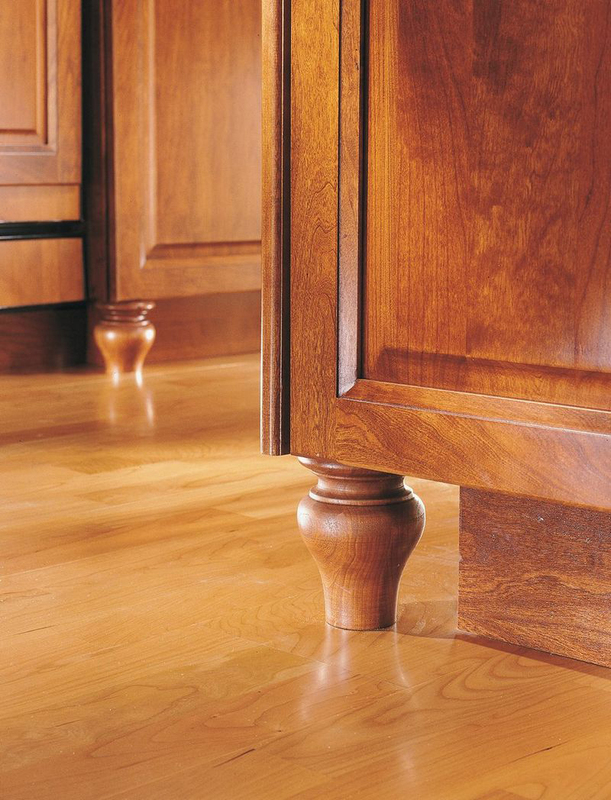 Attaching spindles at the end of a peninsula, allows for a countertop extension. 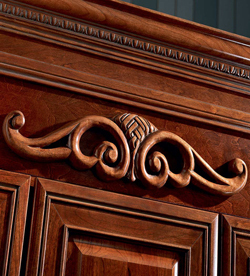 Corbels and onlays are great embellishments for an upscale detailed look. Changing hardware is an easy cabinet update. Just want to update? New doors, hardware and lighting will breathe life into an old cabinet. It’s hot to mix finishes. Wood stains and paint finishes are fab together. Be eclectic! Tell ‘em Millie sent you! 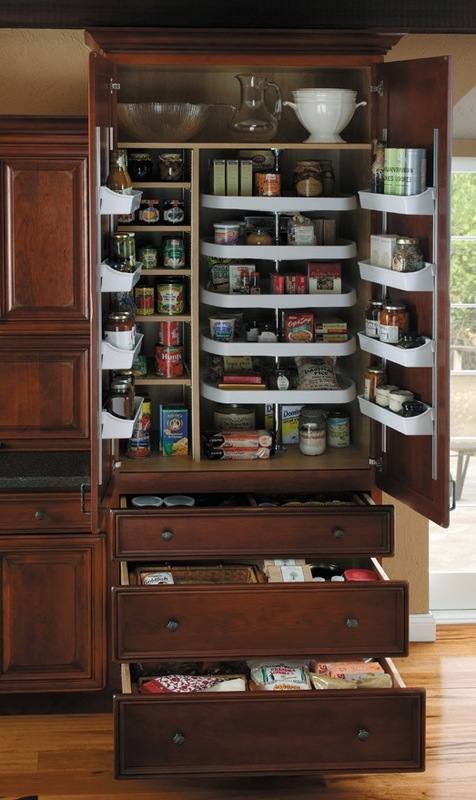 Tons of storage options like this StarMark pantry. 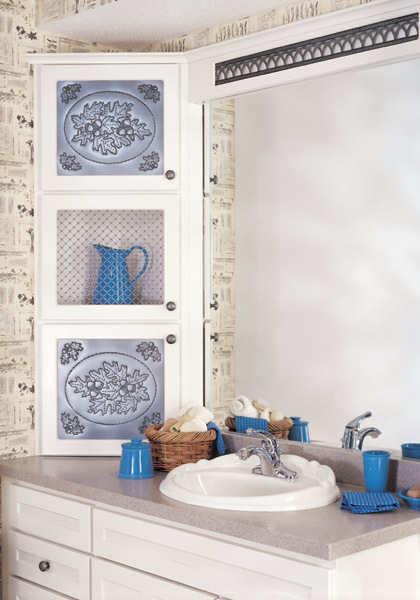 A cabinet door with wire mesh creates homey feel. 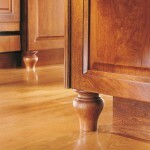 This KraftMaid tulip leg gives cabinetry a fine furniture feel. This KraftMaid onlay & crown add a decorative touch. Glass doors with lighting, spindle legs, decorative fillers, onlays & corbels – this KraftMaid kitchen has it all! 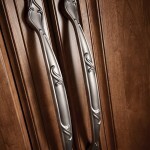 This entry was posted in Kitchen Trends & Tips and tagged Cabinet hardware, Glass cabinet doors, KraftMaid Cabinets, modern supply, mullion doors, Pantry storage, StarMark Cabinets, Zinc caming doors on January 23, 2012 by Webmaster.